Description: The secrets of Tortall are revealed. . . . I skimmed this one. 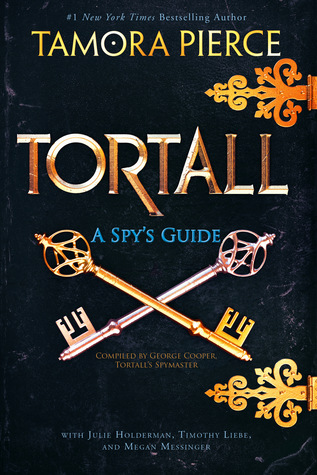 Clocking in at 320pages, this is a collection of eclectic fictional letters and spy documents written up in-character by George the Whisper Man about the various people who populate Tortall and surrounding lands. This is the ultimate for-fans-only sort of book. This is NOT where you should start reading this series, as it both contains spoilers as well as doesn’t contain anything resembling plot or characterization. I was only half-interested, so I just glanced through it.